To summarize current concepts in carious tissue removal. Traditionally, caries has been seen as an infectious disease and was treated by attempted complete removal of all cariogenic bacteria. The logical traditional aim of carious tissue removal—removing all bacteria from carious lesions—no longer applies. The contemporary aim of carious tissue removal is to maximize restoration longevity, without unnecessarily removing sound or remineralizable dentin. This is based on recent perspectives that dental caries is a biofilm-based and lifestyle-mediated disorder. In shallow lesions, as much carious tissue as possible should be removed, with removal until hard dentin is felt around the periphery of a cavity (to maximize restoration survival and seal the cavity) while centrally firm dentin is left (to retain remineralizable dentin). For deep lesions in teeth with vital pulps (without irreversible pulpitis or pulp necrosis), maintaining pulp vitality is the priority. Dentists should aim to avoid pulp exposure and accept leaving soft or leathery dentin in areas close to the dental pulp, while at the periphery, carious tissue should be removed until hard tissue is felt, ensuring that any remaining bacteria are sealed and inactivated and that the restoration has sufficient mechanical support against masticatory forces. An alternative for deep lesions is stepwise removal. Carious tissue strategies where no carious tissue removal at all is performed include sealing using plastic materials or stainless steel crowns, or non-restorative cavity control. A range of carious tissue removal strategies are available and should be applied according to lesion characteristics, pulp vitality, and other patient related factors. Always striving to remove carious tooth tissue until hard dentin remains is not in line with current evidence and not recommended. We gratefully acknowledge the work of the ICCC, as documented by two consensus statements, which have significantly inspired this article. Schwendicke F, Jäger AM, Paris S, Hsu L-Y, Tu Y-K. 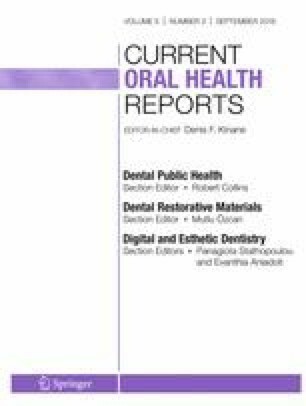 Treating pit-and-fissure caries: a systematic review and network meta-analysis. J Dent Res. 2015;94(4):522–33. https://doi.org/10.1177/0022034515571184.